Run Like An Egyptian: Tourists ‘Fleeing’ Former Middle Eastern Tourism Hub! Death Penalty Shoot-Out Latest: Egypt’s #ArabSpring ‘Misses All Five Kicks’! A court in #Egypt issues the largest mass #deathsentence in recent history as 529 alleged supporters of the Muslim Brotherhood 'abrogated'! Academic Freedom in Egypt: It Would Be Nice! Violent Repression ‘Reaches New All-Time High’! Disinformation Society: All Syrian Telecommunications ‘Cut’! 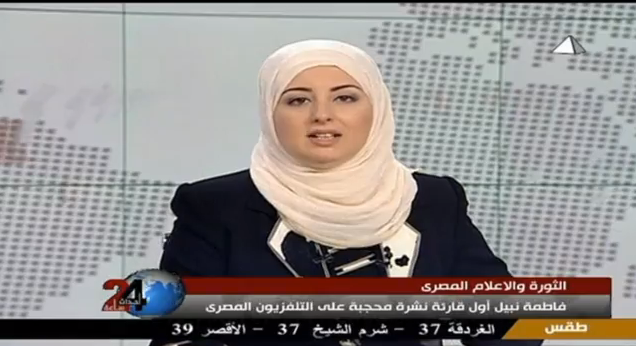 With the saturation of the media by celebritisation and trivia there is no shortage of non-stories to be consumed by participants both willing and incidental, but the past week has engendered one of the year’s more unlikely ones: a female newscaster sporting a hijab has been spotted on Egyptian state television. Prima facie this is a development of genuine significance insofar as it marks a liberalisation of state policy towards those who up until recently have been excluded from the country’s official narrative: in the entirety of Egypt’s fifty-two year televisual age, Fatima Nabil is the first presenter to wear a headscarf identified with religion; the relaxation of a protocol which forbade this in spite of court rulings to the contrary can be viewed as a positive development in terms of advancement of the rule of law. 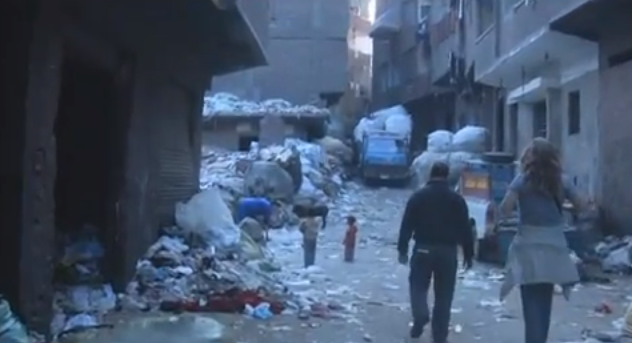 Yet away from Cairene television studios – though not that far away at all – the continuation of a very different ‘protocol’ serves as a stark reminder as to where the true challenges in this substantial republic straddling Africa and Asia lie: organic rubbish is clogging the streets of urban Egypt. Despite the inception of a ‘Clean Homeland’ campaign by the nation’s first elected president – the bespectacled, media-unfriendly Mohamed Morsi – the issue of stray waste, a problem that was promised to be solved within 100 days of Morsi taking office, shows no sign of disappearing. The contrast between the relative ease of addressing a simple issue pertaining to religious identity and solving a large-scale practical problem is unflattering to Egypt’s Freedom and Justice Party (‘FJP’), a political organisation created and backed by the Muslim Brotherhood which performed strongly in the January 2012 elections to the lower house of the Egyptian People’s Assembly but has since seen its support erode alarmingly in subsequent months; the advancement of the FJP’s Morsi to the presidency this summer could not disguise a sobering 24.78% first round showing in a contest dominated by a liberal vote condemned by its failure to unite behind a single candidate. As those familiar with waste management issues will doubtless be aware, there are potentially many ways to address the problem of rubbish collection, sorting and recycling: the training and employment of state employees specialising in refuse collection activities; the outsourcing of this same function to private corporations such as Veolia Environnement S.A.; the involvement of local stakeholders, in this case Cairo’s Zabaleen (lit. ‘garbage people’), in recycling operations; or combinations of these or other methods. To deal with this issue successfully, however, requires both political will and technocratic skill, with the dysfunctional example of Hosni Mubarak’s administration – during which European companies were awarded lucrative contracts with limited obligations, and the Zabaleen needlessly incapacitated following an apocalyptic mass hog cull – and its ultimate fate still fresh in the memory. No variety of head couture on television can veil the reality of sewer-like streets – but will the powers-that-be in Egypt recognise this before their electoral credibility erodes yet further?